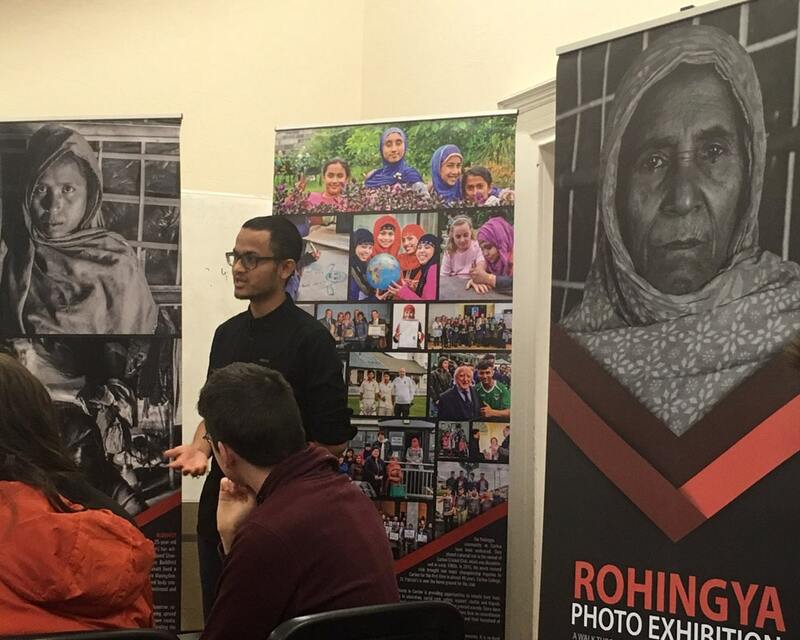 Hichael Rashid, General Secretary of the European Rohingya Council and member of the Rohingya Action Ireland, delivered a lecture on Wednesday 28th November to first year Theology students at Carlow College. He spoke on the theme of Inter-Religious dialogue drawing on his first-hand experience of growing up as a Rohingya Muslim in Buddhist majority Burma. Hichael also spoke about the ongoing genocide against Rohingya, and the military lead suppression of religious minorities in Burma. 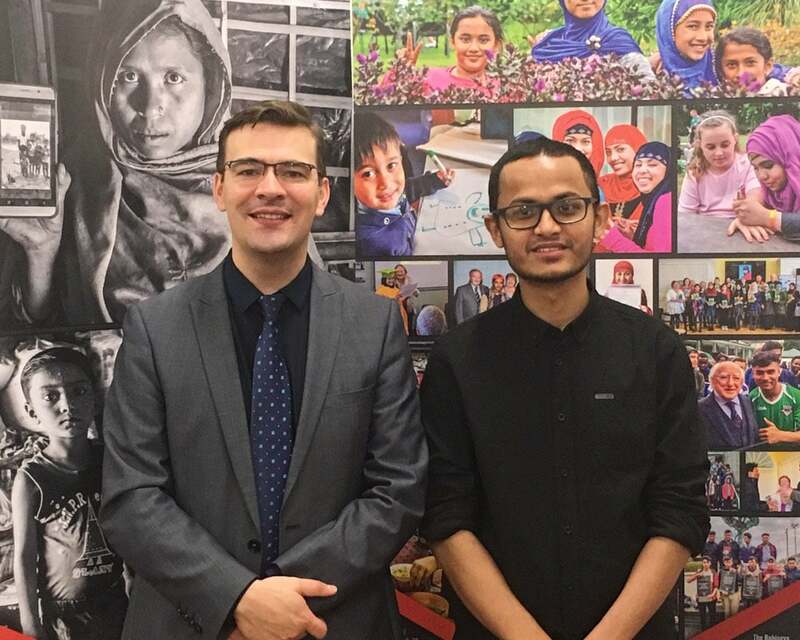 Pictured: Michael Sherman (Theology Lecturer at Carlow College) with Hichael Rashid.